With a name like Chelsea Clinton, you’d think that working at the Clinton Foundation would be a cakewalk—maybe popping in on Fridays with bagels and a friendly wave; approving office supply orders while you browse on Amazon; unlimited Seamless. That fantasy might actually exist, according to reports that Chelsea seems to be disturbing the balance of Clinton Foundation staff. Many are leaving because of her “difficult” behavior, reports Page Six. 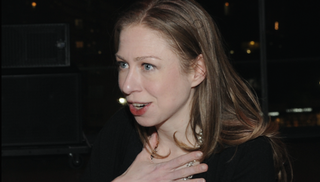 Chelsea has embraced all the trappings of a corporate CEO, with a personal staff almost as big as her father’s. “He has six. She has five,” said my source. Page Six also refers to the Clinton Foundation as a “bloated slush fund,” which sounds cool and frosty and like something you’d want to snack on in the warmer months.